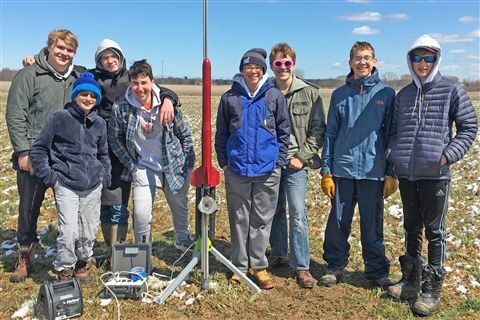 The US Rocketry Team successfully flew 3 qualification flights in the Team America Rocketry Challenge, the largest rocketry contest in the world, involving individual high school teams in a precision engineering challenge. This year 853 teams are competing for a slot in the top 100 to be invited to finals in Herndon, VA in May. The two US flight teams averaged scores of 12 and 18. Last year the average score for the top 100 was 17. Finalists will be announced April 12.